VALDOSTA, GA (WCTV) - Several counties are crossing state lines in search of solutions to protect local waterways. 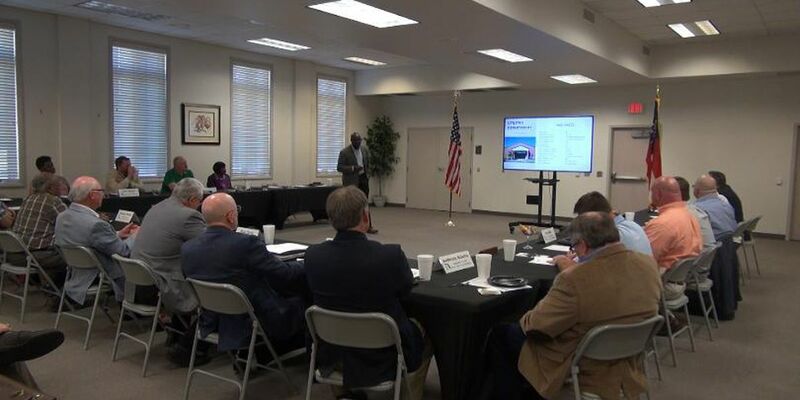 On Wednesday, representatives from 12 counties across North Florida gathered in Valdosta to meet with city officials and discuss ongoing sewage spills at wastewater treatment plants. The counties formed a task force at the end of 2018 with the goal of putting these spills to a stop. This meeting was its first opportunity for all stakeholders to sit at the same table to discuss these solutions. Members of the task force say sewage spills in Valdosta continue to be a risk to public health and the local economy for communities downstream. "[The Suwannee River] is the one single resource that binds all 12 counties together, so we're very concerned about the quality and image of the Suwannee River and its tributaries," said Scott Koons, Executive Director of the North Central Florida Regional Planning Council. During the meeting, Valdosta officials explained recent improvements and investments the city has made to the sewer system, like manhole rehabilitation and lift station upgrades. "We're very concerned, we're doing everything we can, we're investing money in to our system to prevent these types of releases, we're working hard and I think we're able to show that," said Mark Barber, Valdosta City Manager. City officials also discussed which improvements are still to come. The city is working on building permanent overflow storage on site of the Withlacoochee Wastewater Treatment Plant. It would be able to hold 8-10 million gallons of overflow to prevent spills into the river, even during heavy rain events. Task force members said this storage is a big step in the right direction, but more improvements are still needed. "It's going to take quite a bit of time to resolve, but if they build this storage facility at the plant it should be able to withstand significant rain events without spills in the future," Koons said. As of now the City of Valdosta is not receiving any federal funding for sewer system investments. The city has a ten-year plan for improvement, but officials said they are working on fast-tracking those plans. City officials said SPLOST funding is a big part of making these improvements. The task force is now working on ways that all twelve counties can help the city with funding. Organizers said the next step is to streamline and improve communication between Valdosta and members of the task force, who are asking for immediate notification following a spill. Officials are also working to improve communication between the Georgia Environment Protection Division and the Florida Department of Environmental Protection. The group plans to meet again this summer.